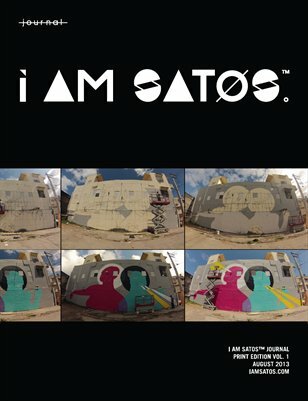 WHAT IS i am satos™ ? J- What is PEC and how it started? Vivoni- The Studies Program in Corsica –known as PEC, (for its acronym in Spanish) is an international program where the School of Architecture established, for a three month period during the summer, an itinerant School of Architecture in Corsica mostly with students from the School of Architecture at the University of Puerto Rico and, in one occasion, with the participation of students from the School of Architecture of the Polytechnic University of Puerto Rico. The began in 2007, with the signing of an agreement between the two universities - The University of Puerto Rico and the University of Corsica- to establish academic links. The Studies Program in Corsica is one of those links. The intention of the PEC was to document, in six years, the structures known as the “American Houses” in Corsica and offer the participating students an opportunity - for three months- to understand the history between Corsica and Puerto Rico, to compare both islands and see how the Corsicans preserve their heritage and its context- natural and built- so we can compare our treatment of the same issues in Puerto Rico. We thought that this was a good opportunity, as islands, to understand our similarities and differences. J- What are the academic components of the PEC? Vivoni- The student who chose to participate in the PEC is recruited during the first semester of the academic year. This was necessary because during the second semester the student has to take a basic French course –that is if the student has never taken a French course before - a Theory of Preservation course, and an Architectural Documentation course, all needed for the field work in Corsica. To my surprise, only a few students knew how to measure a building and how to use the tools for that. 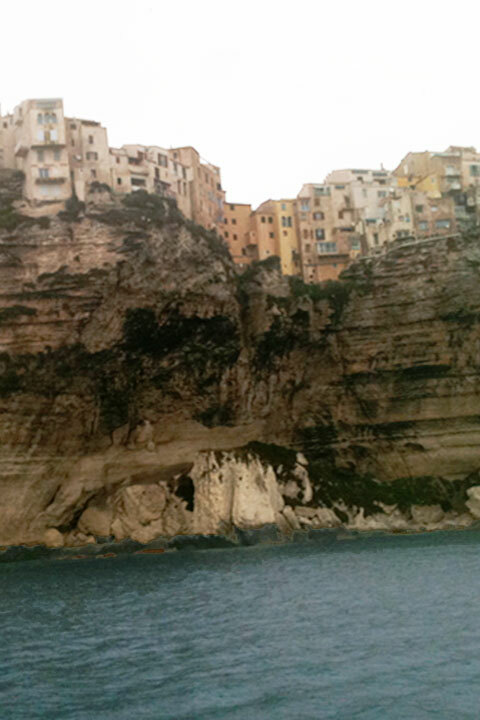 Early in May, the group flew to Corsica where the student would take courses equivalent to eleven credits: six as elective courses and five as a Preservation Design studio. At the end of the summer, each student received a certificate of Heritage Studies - the first three years awarded by the two universities (University of Puerto Rico and the University of Corte, Corsica) and during the last three years, by the City of Bastia and the University of Puerto Rico. Vivoni- This has a background: the Vivoni name is Corsican. In 1997 I visited Corsica for the first time and a cousin –knowing that I was an architect- took me to see what he called “the American Houses” in Corsica. I asked, “Did the gringos build houses here in Corsica?” But he told me that they were houses built with fortunes made in America. 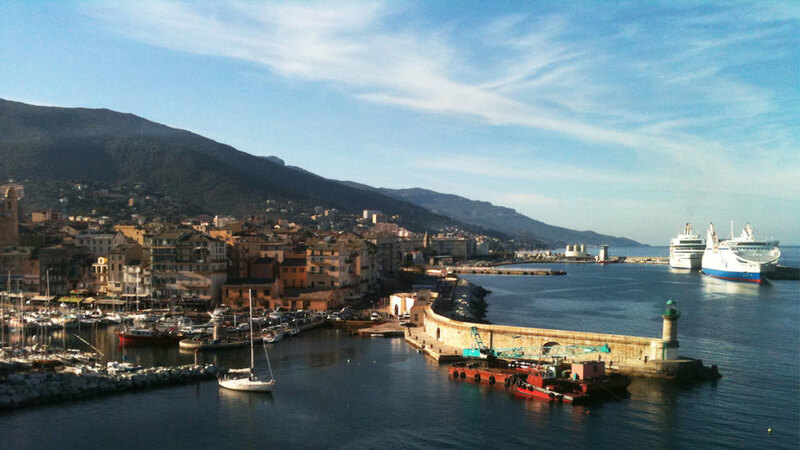 He took me to his mother’s village, Figarella (in the Cap Corse) and he showed me a few of them. These houses were the result of a nineteenth-century migratory phenomenon where many Corsicans arrived here in Puerto Rico, made money and had those large houses built for their return. I understood that it was an important link between the two islands. The relationship between the islands was not only familial, but also in the field of architectural heritage, and those buildings established that link: product of fortunes made from Puerto Rican fields tilled by slave and workers hands. J- Why are Puerto Rican students the ones documenting that heritage in Corsica, is there a particular reason? Vivoni- The fundamental reason is that in Corsica there is no School of Architecture – the nearest School of Architecture is in Marseille- and were interested at that moment, in documenting that component of Corsican heritage. In 2000, when I did my first research, I met with professors of the university and also with the President of the university to see what could be done to faithfully inventory and document these “American buildings”. When I published the book The Corsican-Americans in 2002, I ended saying that there existed this common heritage that linked the two islands and that it was necessary to document it. Since Corsica did not have a School of Architecture, seven years passed and nothing was done. So finally I decided that it was also a responsibility of our School of Architecture to take our students to Corsica so that they could have the experience of living three months away from Puerto Rico, in a country completely different from theirs, but with similarities, and document these houses. J- How many buildings were documented by the PEC? Are those all of them? Vivoni- As I said before, the PEC was a six-year project. In the first place, because it was the budget that we had or that we could raise. Secondly, the communes were selected –as per the research done in 2000- because of the quantity and importance of the American houses in the communes. We documented 78 buildings and 79 students participated in the six PECs. According with the existing literature and the research that I did in 2000, in the Cap Corse there should be approximately 200 “American Houses”, and additional ones in others regions like Balagna, Nebbio and Castagniccia- places that Corsicans migrated to America. J- Lastly....What is the Archive of Architecture and Construction Archives at the University of Puerto Rico going to do with the documentation realized by the PEC? Vivoni- We have received initial funds to start working on an exhibition. 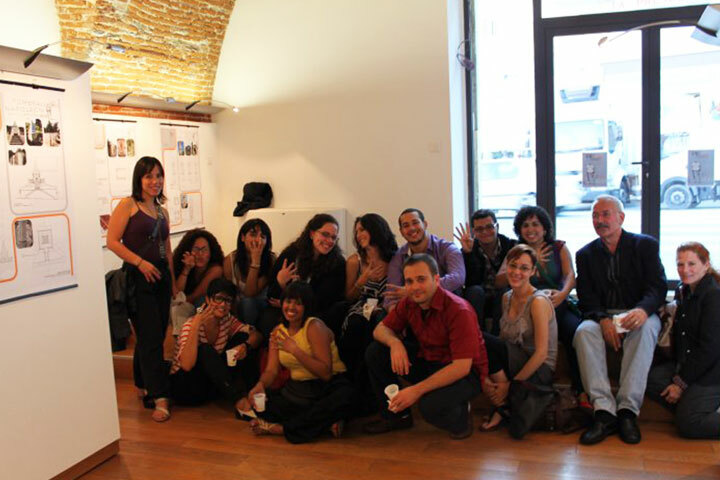 The idea began in Corsica: a large exhibition of the work done in the six years of the PEC, even though each year we’ve done exhibitions of the students’ work at the end of the summer in Corsica and at the beginning of the next semester in Puerto Rico. The Museum of the City of Bastia asked us to collaborate with an exhibition that will coincide with an exhibition that they are preparing about architecture and urbanism in the City of Bastia in the 19 century. Our exhibition will be about the architecture in the Cap Corse. We were told that it would open in the the summer of 2013. The Museum has changed the date and now I think it will be for the summer of 2016, which gives us more time to design and prepare it. Once we started thinking about the exhibition, it was obvious that 78 scale models and drawings of each building would be very overwhelming for the visitor. We therefore decided to display the students’ work online, accessible by touch screens, tablets and smart phones in the museums. The scale models and a documentary will be the only “real” elements in the museums. The Fundación Puertorriqueña de las Humanidades has funded an initial proposal to start a Blog, a Timeline and a sample web page for each of the “American buildings”. We have submitted other proposals for the development of the documentary about the Corsicans in Puerto Rico, produced by the Univerity’s Film and Television division. In addition, we have also submitted a proposal to the National Endowment for Humanities for funding to complete the exhibition. We are interested in opening this exhibition not only in Puerto Rico, but also in the USA, South America – Venezuela, where there was a large Corsican immigration- and obviously in Corsica and Continental France. J- ¿Qué es el PEC y cómo surgió? Vivoni- El Programa de Estudios en Córcega - que se conoce como el PEC, por sus siglas- es un programa internacional, en el cual, durante tres meses en el verano la Escuela de Arquitectura establece una breve escuela de arquitectura en la isla de Córcega. Los estudiantes son mayormente de la Escuela de Arquitectura de la Universidad de Puerto Rico y donde también han participado estudiantes de la Escuela de Arquitectura de la Universidad Politécnica de Puerto Rico. La idea del Programa surge en el 2007, cuando se firma un convenio entre las dos universidades - la de Puerto Rico y la de Córcega- para establecer vínculos académicos. El Programa de Estudios en Córcega es uno de esos vínculos. La idea del PEC proponía hacer un proyecto de seis años para documentar lo que se llaman “las casas de los americanos” en Córcega y para que los estudiantes que participaran -por tres meses en la isla de Córcega- tuviesen la oportunidad de conocer la historia que existe entre la isla de Córcega y la isla de Puerto Rico, comparar la situación de Córcega con la situación de Puerto Rico, ver cómo los corsos atienden sus estructuras patrimoniales y su contexto patrimonial- tanto natural como construido- y para que comparemos un poco la manera en cómo nosotros en Puerto Rico atendemos las mismas situaciones. Siendo dos islas, pensamos que habían varios puntos de semejanzas y los que contrastaban, entenderlos. J- ¿Cómo funciona para los estudiantes este programa académicamente? Vivoni- El estudiante que decide participar en el PEC se recluta el primer semestre del año académico. Es necesario porque durante el segundo semestre de ese año académico el estudiante debe tomar un curso de francés- si nunca ha tomado francés -, debe tomar un curso de Teoría de la conservación y debe también tomar un curso de Levantamiento arquitectónico, ya que éstas son las herramientas que se van a utilizar en Córcega. Sorprendentemente, son pocos los estudiantes que conocían cómo medir un edificio y cómo utilizar las herramientas que hay para eso. A principios de mayo, el grupo salía para Córcega. Allá tomaría cursos equivalentes a once créditos- casi un semestre-: seis créditos en cursos electivos y cinco créditos en un taller de Diseño en Conservación. Al finalizar el verano, se le otorgaba al estudiante un Certificado en Estudios Patrimoniales – por parte de las dos universidades (Universidad de Corte en Córcega y la Universidad de Puerto Rico) los primeros tres años y, posteriormente, los segundos tres años por parte de la Ciudad de Bastia y la Universidad de Puerto Rico. Vivoni- Eso tiene un poco de trasfondo, Vivoni es un apellido corso. En el 1997- que fue la primera vez que visité la Córcega- un primo mío -conociendo que yo era arquitecto- me llevó a ver lo que él llamó “las casas americanas”. Yo le pregunté, “¿Aquí en Córcega hay casas de gringos? y él me dijo “No, son unas casas hechas con la fortuna hecha en América”. Me llevó a la aldea de su mamá, en Figarella (en el Cabo Corso) y me mostró unos palacetes. Estas casas eran producto de todo un fenómeno migratorio del siglo 19, en el cual muchos corsos llegaron a Puerto Rico, hicieron dinero y para retirarse en su isla natal, mandaron a construir estas villas. Yo entendí que eso era un vínculo bien importante. Entre estas dos islas, no sólo existía un vínculo familiar, sino también patrimonial y estas estructuras establecían ese vínculo: contruidas gracias a fortunas hechas de las cosechas puertorriqueñas, producto del sudor de los esclavos y de los obreros puertorriqueños. J- ¿Por qué estudiantes puertorriqueños están viajando a Córcega para documentar ese patrimonio, existe una razón particular? Vivoni- La razón fundamental es porque en Córcega no hay una escuela de arquitectura –la escuela de arquitectura más próxima está en Marsella– y no le interesa documentar o no le interesaba en un momento dado, ese aspecto del patrimonio. En el 2000 – cuando hice el primer trabajo de investigación, me reuní con profesores de la Universidad y con el Presidente de la Universidad en aquel momento, para ver cómo podríamos inventariar y documentar fielmente las “casas de los americanos”. Cuando publiqué el libro "Los corsos americanos" en el 2002, lo concluí diciendo que existía este patrimonio, que vinculaba a las dos islas y que era necesario documentarlas. Pero al no tener una escuela de arquitectura en Córcega, pasaron siete años y nada pasó. Así es que finalmente, decidí que también era responsablidad de nuestra Escuela llevar nuestros estudiantes de arquitectura, para que tuvieran la experiencia de vivir tres meses fuera de Puerto Rico, en un país completamente diferente, pero vinculado a nosotros, y hacer la documentación de las casas. J- ¿Cuántas estructuras se han documentado en el PEC? ¿Son esa cantidad todas las estructuras? Vivoni- Como te dije, el PEC se proyectó para seis años. Primero porque ese era el presupuesto que habíamos establecido o que podíamos levantar. Segundo, se seleccionaron las comunas –las que yo había entendido a través del trabajo que había hecho en el 2000- que había mayor número o las más importantes de las “casas de los americanos”. Se documentaron 78 estructuras y participaron 79 estudiantes. De acuerdo a la literatura que he consultado en Córcega, y la investigación que se hizo en el 2000, en el Cabo Corso debe haber sobre 200 “casas de los americanos”, sin contar las que se construyeron en otras regiones de la Córcega como en la Balagna, el Nebbio y la Castagniccia – que fueron los lugares de donde emigró gente hacia América. Jo- Finalmente… ¿Qué se va ha hacer en el Archivo de Arquitectura y Construcción de la Universidad de Puerto Rico con la documentación que se ha realizado en el PEC? Vivoni- Hemos solicitado y conseguido fondos para comenzar a trabajar en una exhibición. La idea de la exhibición surgió en Córcega: una gran exhibición de todos los trabajos hechos durante los seis años. Todos los años hemos hecho exhibiciones de los trabajos de los estudiantes al finalizar cada verano, tanto allá en Córcega, como al comenzar el semestre acá en Puerto Rico. El museo de la ciudad de Bastia nos pidió colaboración en una exhibición que irá a la par con una sobre la arquitectura y urbanismo de Bastia, en la ciudad de Bastia en el siglo 19. La nuestra será sobre la arquitectura en el siglo 19, en el Cabo Corso. Se nos indicó que sería para el verano del 2013, y la misma se ha aplazado y pienso que será para el verano de 2016, lo que nos ha dado un tiempo adicional para diseñarla y prepararla. Obviamente, una vez empezamos a planificarla, nos dimos cuenta que para hacer maquetas de 78 estructuras y a presentar los dibujos de 78 estructuras iba a ser sumamente abrumador para el visitante del museo. Así que hemos decidido que los trabajos realizados por los estudiantes van a estar en línea y que se van a poder accesar por medio de pantallas touch screen, tabletas y teléfonos inteligentes en los museos. Las maquetas y un documental serán el aspecto “real” que van a estar en los museos. Gracias al auspicio de la Fundación Puertorriqueña de las Humanidades, hemos comenzado con la inclusión en la red de un Blog, un Timeline y un muestrario de la página web para cada casa. Tenemos varias otras propuestas que están corriendo, una para un documental sobre los corsos en Puerto Rico, hecho por la misma Universidad en su unidad de Cine y Televisión. Además hemos sometido una propuesta a National Endowment for Humanities y estamos esperando a ver si nos dan los fondos terminar la exhibición. Nuestro interés es hacer que esta exhibición se muestre no sólo en Puerto Rico, sino en Estados Unidos, Sur América -Venezuela, donde hubo mucha migración corsa- y obviamente en Córcega y Francia continental. Tagged with CORSICA, TRAVEL, ARCHITECTURE, INTERVIEW, PUERTO RICO, UPR, AACUPR, PRESERVATION. April 15, 2013 by Jonathan Delgado. I visited Corsica for the first time in the summer of 2010, where I had the opportunity of experiencing the Program for Corsica Studies that the School of Architecture offers through the sequence of conservation studies and the Archive of Architecture and Construction of the University of Puerto Rico [AACUPR]. During three months I documented some of the buildings that the Corsicans who returned from the diasporas constructed in the city of Bastia and the community of Morsiglia. Here are some pictures from my travels. Tagged with CORSICA, TRAVEL, ARCHITECTURE, PHOTOGRAPHY, PRESERVATION, AACUPR, UPR. April 14, 2013 by Jonathan Delgado.